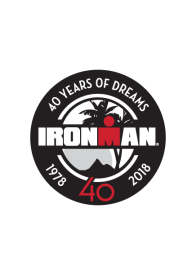 TAMPA, Fla. (June 28, 2018) – In continuation of the celebration of IRONMAN’s 40th anniversary, a new broadcast special IRONMAN® “40 Years of Dreams” will premiere this Friday, June 29, at 2:00 p.m. ET on NBC Sports Network. This broadcast special highlights the remarkable stories of the awe-inspiring athletes and unforgettable moments that have grown the iconic triathlon brand into a global phenomenon since its very first triathlon event, which took place in Oahu, Hawai`i in 1978. The 60-minute show highlights some of the most memorable moments and personalities that have left their mark on IRONMAN since its inception in 1978. Interviews include, Paula Newby-Fraser, Erin Baker, Dave Scott, Mark Allen, Chrissie Wellington, Mirinda Carfrae, Jan Frodeno and Greg Welch as well as Hines Ward, Sean Astin, Alex Zanardi, Al Trautwig, and Mike Reilly among others. Since 1978, IRONMAN has showcased not only the limitless physical capability and competitive nature of the top-endurance athletes around the world, but also some of the most inspirational and impactful stories of courage and resilience from the age-group athletes and everyday individuals competing alongside them. The fortitude of these individuals has helped create a community that believes ANYTHING IS POSSIBLE. Four decades later, hundreds of thousands of athletes have fulfilled their dreams at finish lines all over the world. Viewers should check local listings for broadcast information in their areas. To follow the IRONMAN “40 Years of Dreams” celebration all year long, visit www.ironman.com/40years. For more information on the IRONMAN brand and global event series, visit www.ironman.com. Media-related inquiries should be directed to press@ironman.com.